Take a splash of betrayal, add a few drops of outrage, give a good shake to proper behavior and take a big sip of a cocktail called…Ladies' Night! Heartache, humor, and a little bit of mystery come together in a story about life’s unpredictable twists and turns. 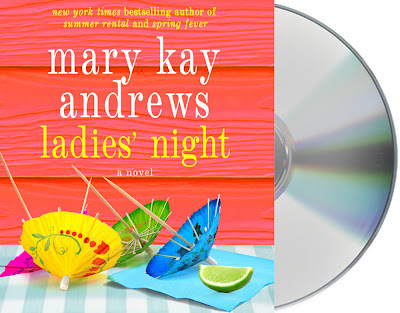 Mary Kay Andrews' Ladies' Night will have you raising a glass and cheering these characters on. 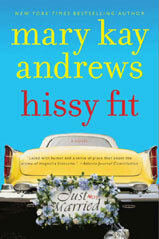 Mary Kay Andrews is the New York Times bestselling author of The Fixer Upper, Deep Dish, Blue Christmas, Savannah Breeze, Hissy Fit, Little Bitty Lies, and Savannah Blues. A former journalist for the Atlanta Journal Constitution, she lives in Atlanta, Georgia. To finish reading this excerpt, visit Macmillan's website HERE. 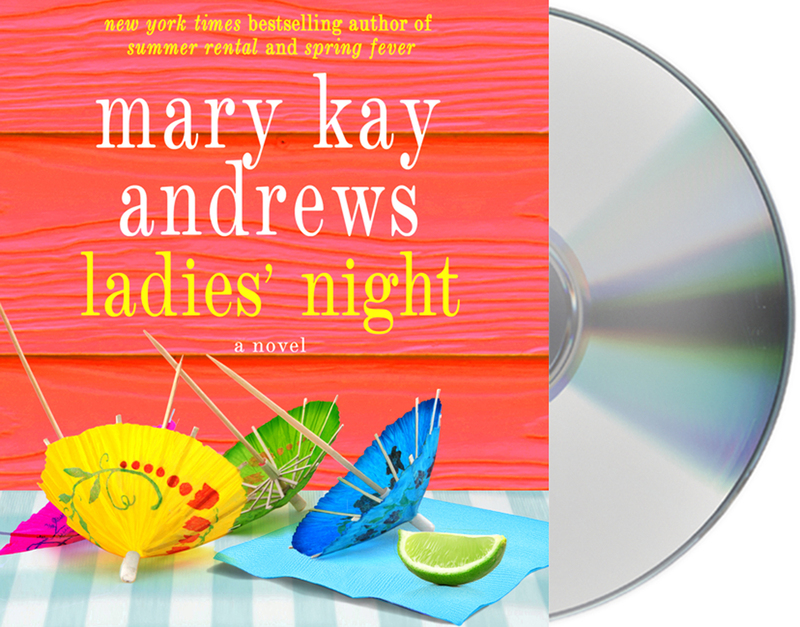 Mary Kay Andrews has done it again with LADIES' NIGHT! She has given readers a story that one can treasure, laugh and cry with, root for characters and boo their enemies. In other words, LADIES' NIGHT is a story you will be emotionally invested in and not want to put down. Along with a timely storyline and authentic characters, LADIES' NIGHT’s setting is written so well that we can create that all-important mental image of it in our head. Readers have all the components to entrench themselves in LADIES' NIGHT and take off for a delightfully enjoyable summer read. With the story’s protagonist, Grace Stanton, readers will find the kind of person they want to have as a friend. With hard work, talent, and determination, Grace takes what was her hobby and turns it into almost an empire that is starting to really take off. Grace and her husband move from South Florida to her hometown in Florida’s Gulf Coast and practice what she preaches by setting up a fabulous home for them there. Ben, Grace’s husband, is an advertising executive and you may make your own judgment of him as you read the book. From the start of the narrative, readers find out that Ben is well placed in Florida as he is surely a snake in the grass. When Grace realizes this by witnessing it first hand, she leaves her home that night rather than getting more physically/emotionally involved than she does after her initial reaction. What follows will probably anger you like it did me as we watch Ben tie Grace up in legalities and underhandedness, so that she has no access to those things she created and paid for. The plotline from here takes Grace through stages of anger, hurt, and pain, and back again. As Grace discovers friends in a therapy group, she realizes she isn’t the only person with problems (although it will seem like it when you read all that happens to her). Just when one might not be able to stand anymore, things begin to turn around for Grace and bless Mary Kay Andrews for her delightful way of showing how a strong woman can persevere and through self discovery, can start to trust again. This is a wonderful book and held my attention the entire time I listened to it. I found it to be my relaxation each night after a long day’s work and welcomed my time with Ms. Andrews and her delightful characters. 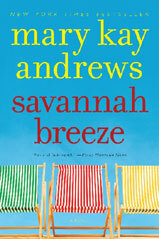 As always, Mary Kay Andrews has proven with a book, in this case LADIES' NIGHT, that readers can’t go wrong with her. +1 MORE ENTRY: COMMENT ON SOMETHING YOU FIND INTERESTING ABOUT AUTHOR MARY KAY ANDREWS BY CHECKING OUT HER WEBSITE HERE! I'm very much in the mood for a story that mixes heartache, humor and a dash of mystery. 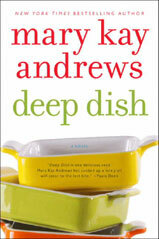 I love all of Mary Kay's books and I have this one on my wish list. Her books are so entertaining. I laughed when I read "COMMENT ON WHAT YOU THOUGHT ABOUT WHAT YOU READ AND SAW ABOVE ABOUT LADIES' NIGHT THAT MADE YOU WANT TO WIN THIS AUDIO BOOK". Why, it was three little words....Mary Kay Andrews! I liked the idea they formed their own "ladies night" therapy sessions. forgot to add email to prior comment - hope this fixes that. MKA has rental cottages that she furnishes with flea market finds. I enjoy Andrews' touch of Southern charm in all of her books, along with her great characters. I bet this translates well for listening! 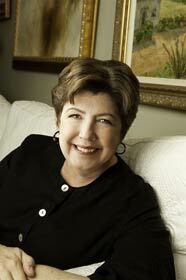 Mary Kay's Callahan Garrity series is being re-released using her Mary Kay Andrews name rather than Kathy Trochek. It sounds like the women had a great idea by creating "Ladies Night". I would love to read about the different women's problems and the support that other women gave them. On her website, I enjoyed looking and reading about her summer cottage. I entered the giveaway for "The Skies Belong To Us. I entered the giveaway for "Mayhem At the Orient Express". I entered the giveaway for "Murder After A Fashion". I entered the giveaway for "Trouble Vision". I follow with an e-mail subscritpion. I follow with Networked Blogs". I follow with a RSS Feed on my Igoogle Page. I follow with Google Friedns Connect. Your review made me eager to get to know Grace! Hope I win. This story sounds terrific. I'd like to see how these ladies progress in their healing process...and the one man, too. She has great "junking tips" for antiquing or just garage saling. Sounds like a story that has all the elements of a good read -romance, bad guys, grit, suspense, and a good southern setting. OOOO....the cottage on Tybee Island looks fantastic. I am drawn in just by the title. It sounds like a fun read/listen!